While the US government’s influence in Hollywood is no secret, new documents reveal the staggering extent of CIA and Pentagon influence across hundreds of movies and TV shows. Researchers Tom Secker and Matthew Alford secured 4,000 new pages of Pentagon and CIA documents using Freedom of Information requests, which show how US intelligence has been behind the scenes on more than 800 movies and 1000 TV shows. 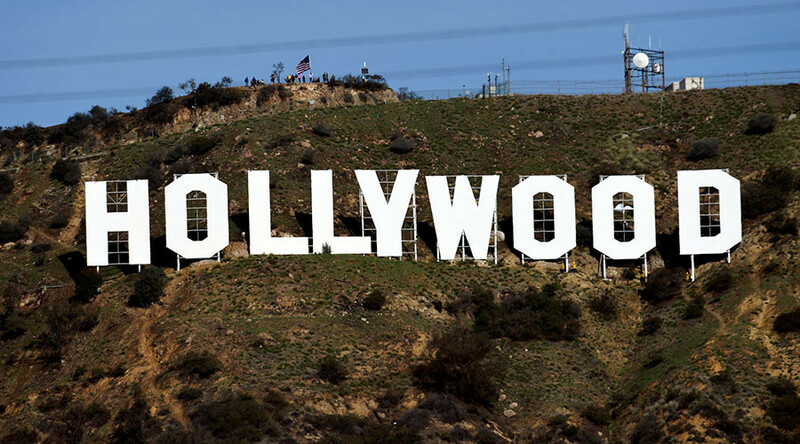 The breadth of the collaboration is explained in Secker and Alford’s book, National Security Cinema: The Shocking New Evidence of Government Control in Hollywood, which raises questions about the levels of propaganda to which Hollywood exposes its audiences. US intelligence and defense influence ranges from script rewrites to loaning equipment, censoring, and even stopping production of movies. While it may not be surprising to learn the CIA was involved in its portrayal in Argo or Zero Dark Thirty, the Pentagon’s influence in Hulk, Transformers, Avatar and even Meet the Parents will surprise many. As for television, Cupcake Wars, Oprah and America’s Got Talent may not seem like apt targets for propaganda, but all have allegedly been influenced by either the Department of Defense or the CIA, according to Secker and Alford. The authors released the Department of Defense’s Hollywood database of collaborations, along with the book to show how far the assistance goes. While many of the film entries are benign, the database provides an insight into the influence waged, as well as the DOD’s amusing summaries of plots. The document shows a pattern of the military essentially making access to equipment and film locations depending on how it's portrayed in the script. Any producer or writer who asks for access to the military for research has to have their scripts vetted. If they fail to make changes as requested, they won’t get the cooperation they need. Producers sign Production Assistance Agreements which commit them to using Pentagon-approved versions of the script, Secker and Arnold explain. Any reference to military suicides appear to be a no-go for the Pentagon, the authors point out, perhaps not surprising given the high rates of veteran suicides. Coming Home was refused assistance from the Marines as it contained “reference to leathernecks in Vietnam cutting ears off dead Viet Cong, portraying an officer suffering a breakdown from his war experiences and committing suicide,” the DOD notes. The military doesn’t like mentioning losses. Even the Vietnam War, a well-established defeat by the US, is a touchy subject. The 2003 Hulk movie saw “radical” changes made by the Marine Corps, including the code name of an operation to capture the Hulk being changed from ‘Ranch Hand’ because that was the real name for US destruction of Vietnamese land with pesticides and poison. References to “guinea pigs dying from radiation” was also omitted because it referred to real covert experiments on humans, the authors explain in a Medium post. The Navy refused to cooperate with Top Gun 2 in the ’90s after the Navy and Marine Corp scandal known as Tailhook (which saw aviation officers accused of sexually assaulting people at a Vegas symposium), led to an internal report that blamed Top Gun for contributing to a regressive military culture, the book explains. Meet the Parentssaw CIA censorship in the scene where Ben Stiller’s character discovers his father-in-law’s secret room. An initial script originally saw Stiller discover torture manuals. Jurassic Park 3 had its script rewritten to get rid the “bad military force” featured. “Script rewritten at our suggestion to eliminate all military references, since no positive military portrayal seemed feasible,” the DOD writes. Die Hard 2’s request for assistance was rejected as it “met none of the departments criteria for approval, such as historical authenticity, accuracy of feasibility, benefits to understanding of the military, recruiting value, etc,” the DOD said.